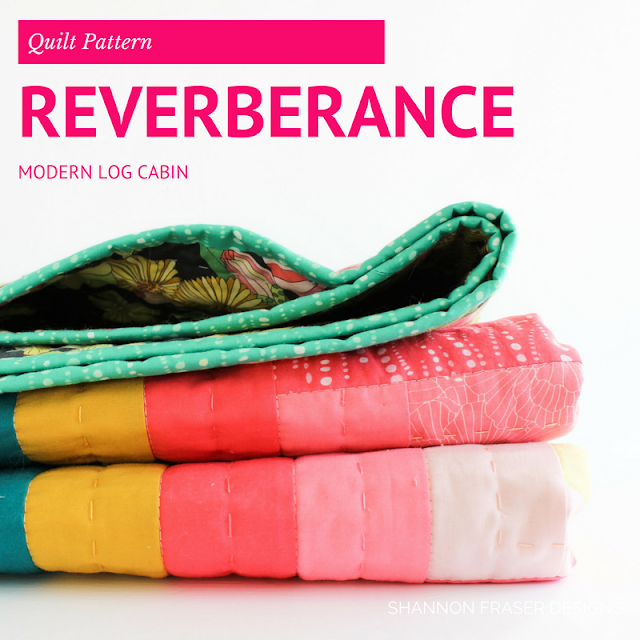 I’m so excited to finally share the Reverberance quilt with you! 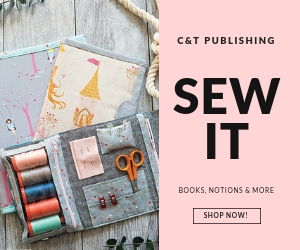 This project has been bringing me lots of joy ever since I got the first sneak peak at Tamara Kate’s gorgeous new collection back in early Fall. This one is aptly named Joy, because it will absolutely bring you joy – joyful memories, joyful feelings – just pure joy! To showcase these beautiful prints, I spent quite a bit of time thinking through a design. I got a little worried, as it didn’t immediately come to mind. But then, one day during a walk, it came to me! I envisioned a large-scale log cabin, large enough to really highlight the details Tamara does such a great job featuring in her prints. I didn’t want those details to be lost with intricate cutting, but I also didn’t want the traditional log cabin to feel overwhelmed by prints. I wanted to enhance the prints and stunning colours featured in this collection and that’s when I thought about playing with another layer of scale. This time I focused in on shrinking the size of two sides of the log cabin. 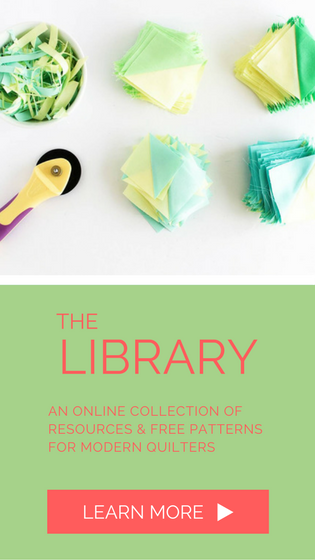 I could have gone with smaller sides and still kept the prints, but we love playing with fabric and colour and I thought this was the perfect opportunity to see how the colours would pop and play off another by introducing solids. 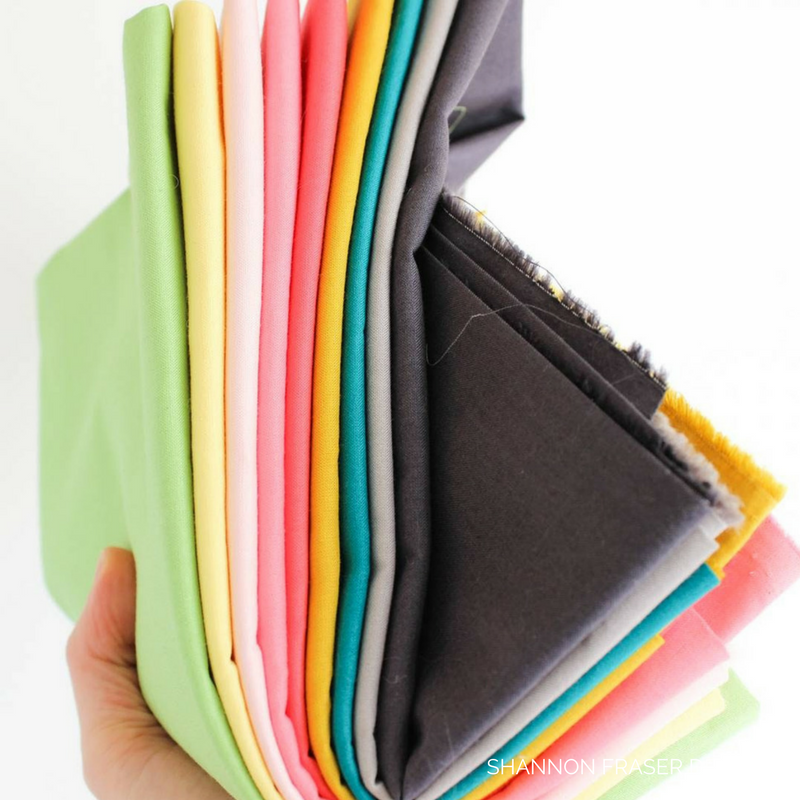 These Michael Miller Cotton Couture solids match perfectly with the Joy Collection. 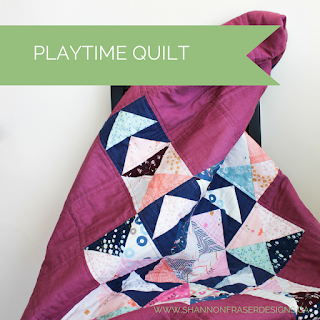 And to make this an even more joyful project for you, the quilt is super quick and easy to piece. 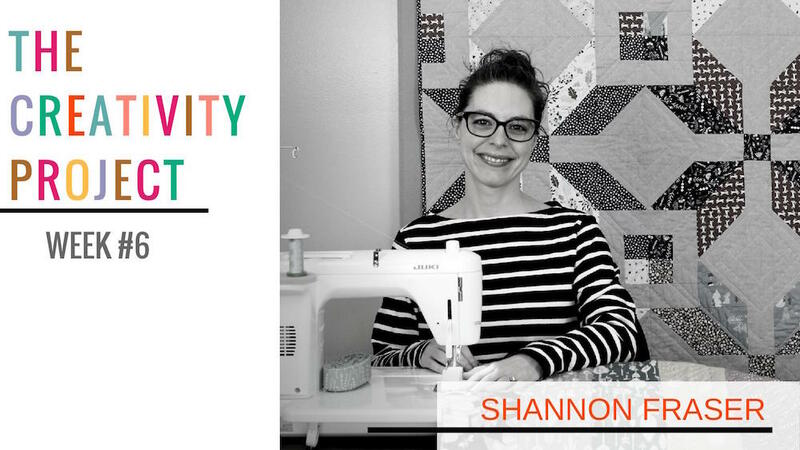 In no time flat you will have a 63"x63" quilt top that has amazing visual impact! 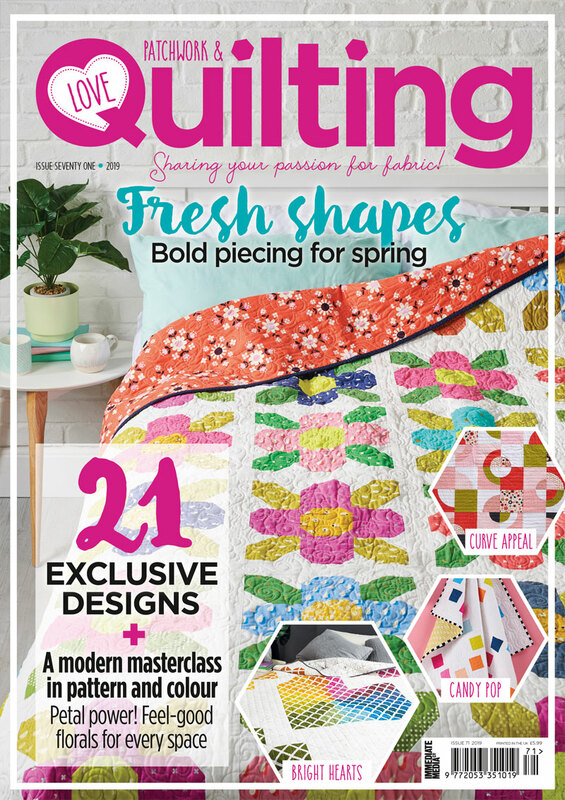 Quick, easy and large enough to snuggle up on the sofa with – yes please! 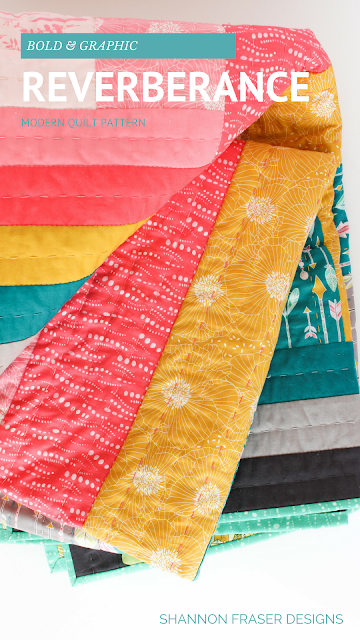 This quilt would have been done long ago if I hadn’t decided to add both machine and hand quilting details. 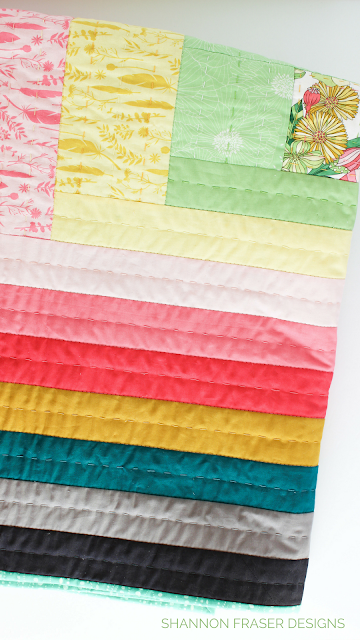 For machine quilting, I stitched in the ditch to add some stability to the quilt using Aurifil Thread #5004 in 50wt. 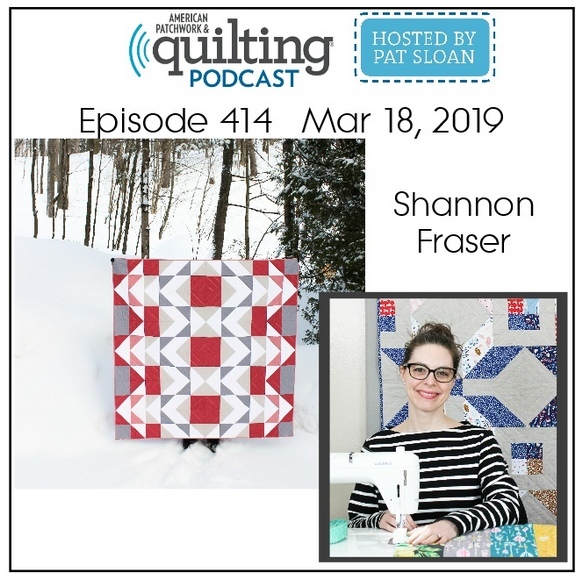 Michael Miller Fabrics have an amazing hand feel and I wanted to enhance that with some big stitch hand quilting using pearl cotton thread in size 8. 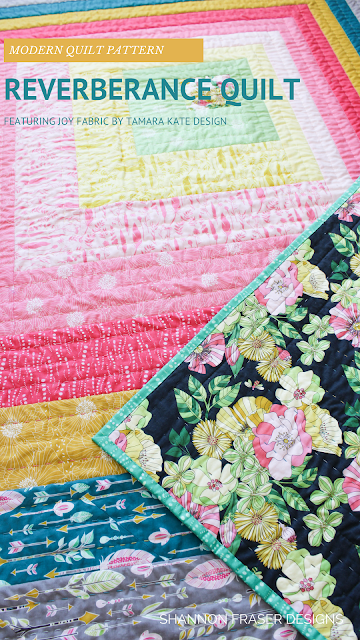 Plus, the hand quilting adds another layer of texture that enhances the visual movement of the log cabin design. 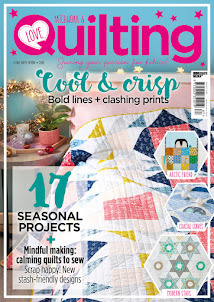 The results are quilty tactile squishy yumminess! 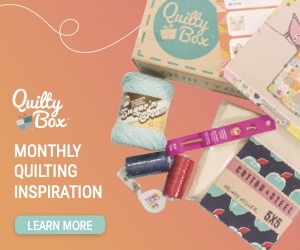 Which I can attest to as I spent most of the holidays curled up on the couch snuggled under her while hand quilting away. Talk about joyful times! I knew immediately when I saw the collection line up that I would be backing her in the Grandi Flora Gray print. 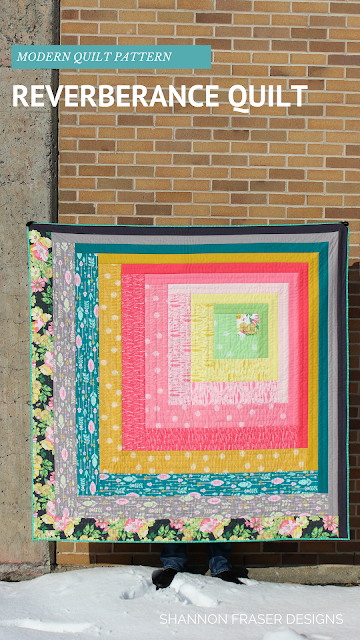 This bold floral turned out to be the perfect counterpoint to the graphic design of the quilt top. 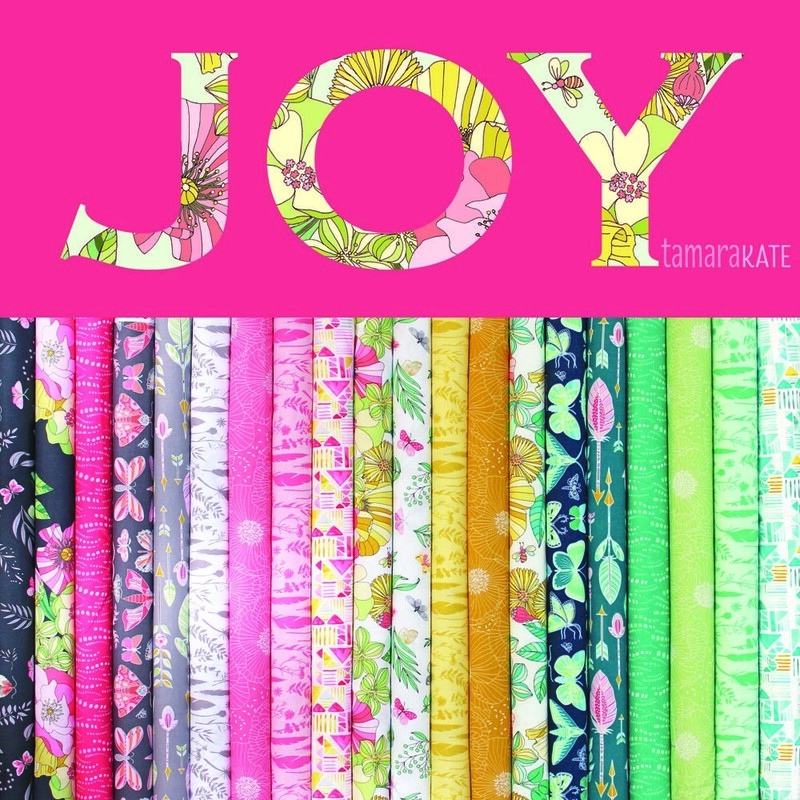 I said this when I worked with Tamara’s Frolic collection for my Spring is in the Air quilt pattern (available here), but she designs some of the BEST binding prints and Whisp in Aqua didn’t disappoint! 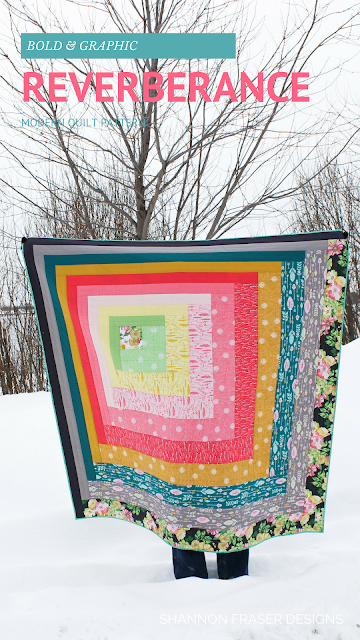 Just look at this whimsical print! 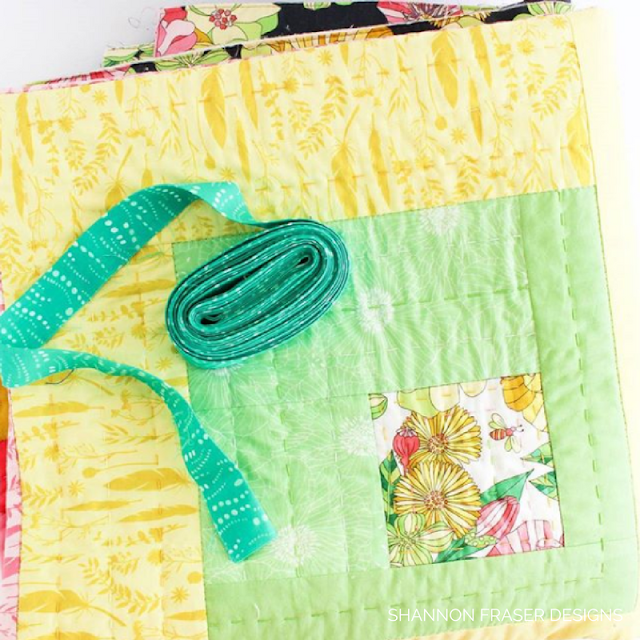 Of course, no quilt is complete without a custom handmade label (get the free DIY pattern here). 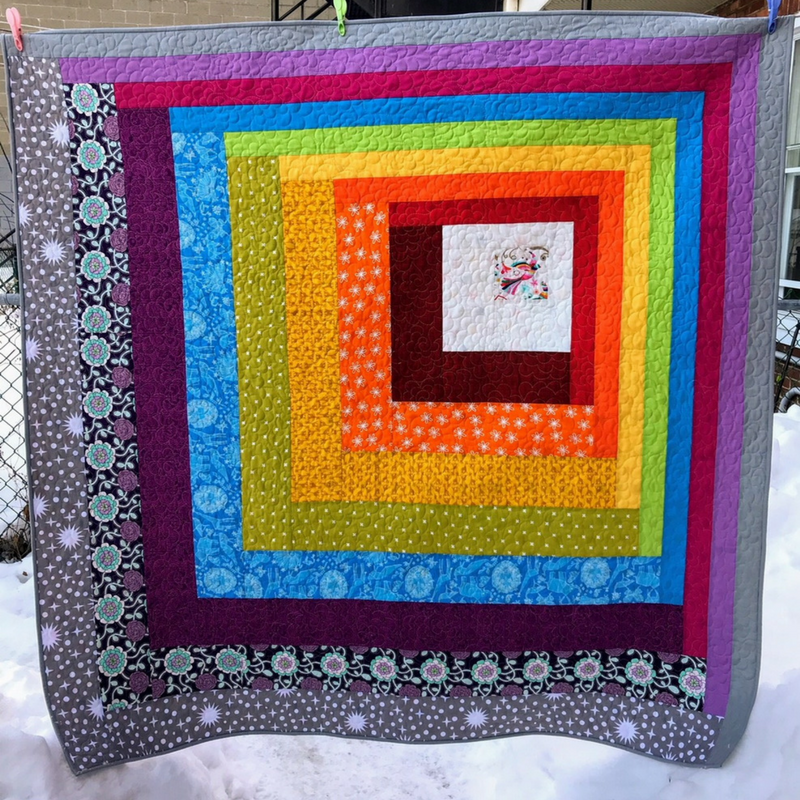 Since the backing was so busy, I opted to go with some solids so that it would coordinate with the quilt but still standout. What I love about the final design is that this play of colour and prints can be examined with any collection you have. I’m actually thinking of playing with just solids to see what visual effect that has. 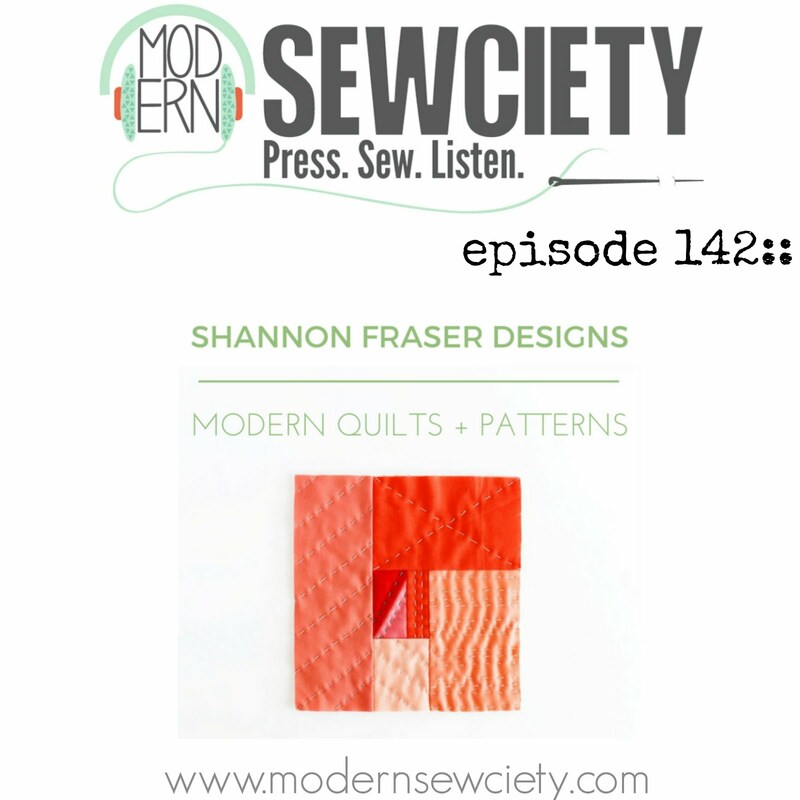 The options are truly endless, and I love how my pattern testers demonstrate that. Traditional or modern, there is no right or wrong here. 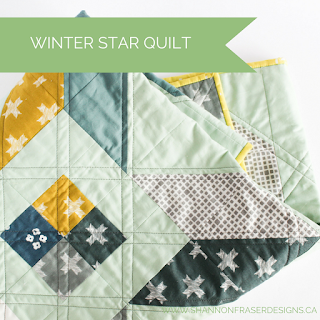 Both styles lend themselves nicely to this quilt pattern. A few of my testers were concerned that their fabrics weren’t modern enough for me. 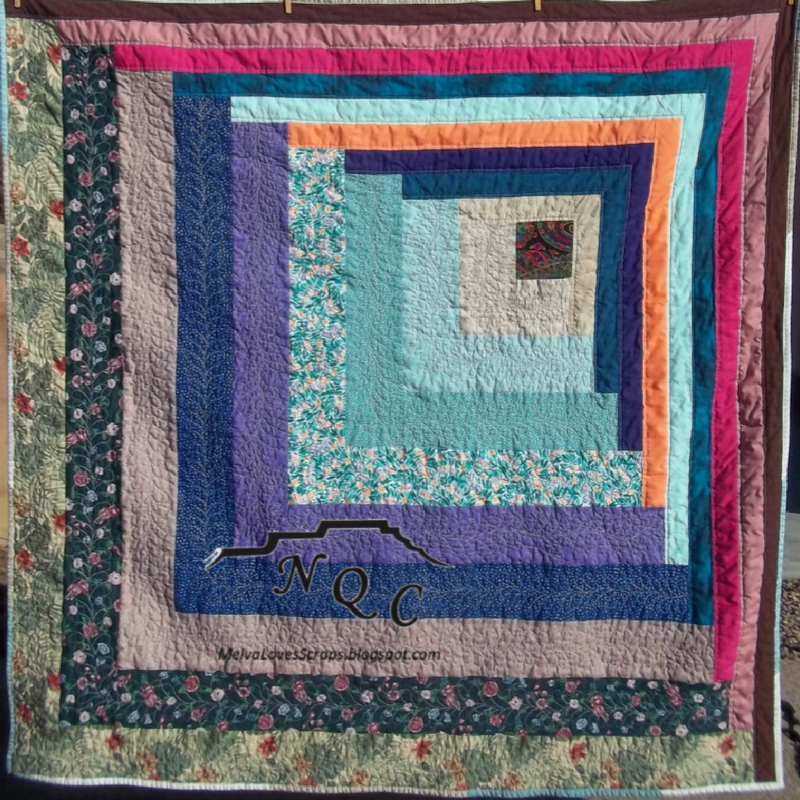 But this is what I truly love about quilting – there truly is no right or wrong. Just because I tend to gravitate towards modern colours and prints, doesn’t mean that’s what you need to do. Just look at Melva’s, of MelvaLovesScraps, gorgeous deep earthy tones with jewel like notes. That dusty rose immediately caught my eye. And she did an amazing job balancing and highlighting that with the other saturated colours and soft florals. 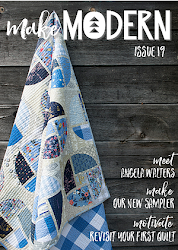 Plus, look at all the quilty texture she added! 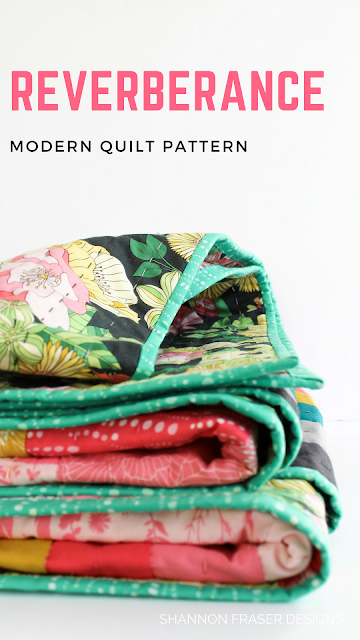 Tiffany, from Village Bound Quilts, reversed the prints vs. solids ratio for an amazing effect. Her quilt still has plenty of visual impact and your eye is drawn in to take a closer look at the prints she incorporated. Florals and plaid, oh my! 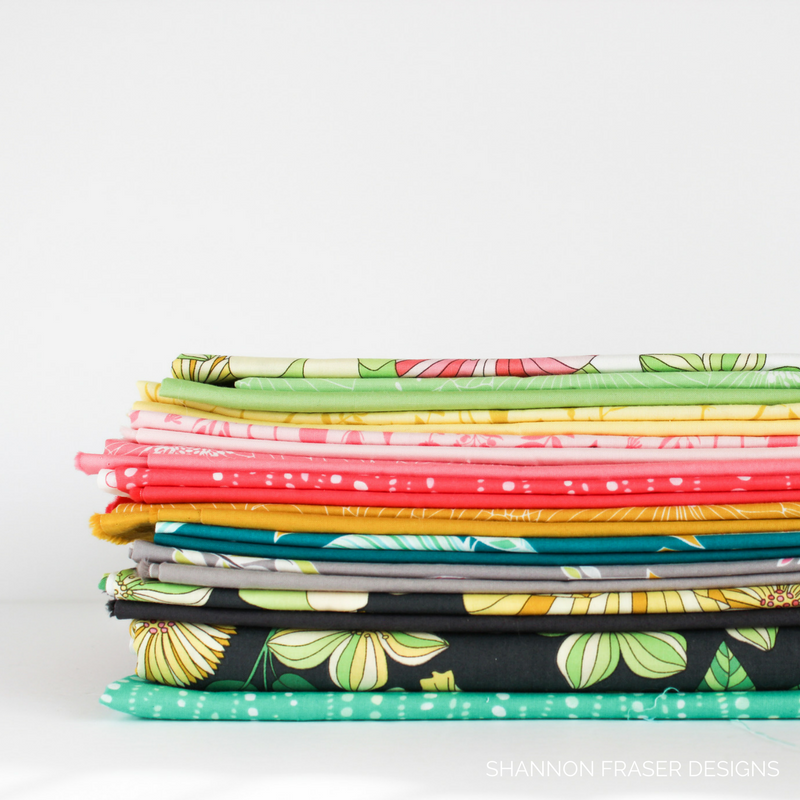 - Flip & Co.
Phillipa of Flip & Co chose some gloriously vibrant prints and solids. Doesn’t this just make you happy?! She had a great time matching her Meriwether prints featuring large and small florals and plaid with Kona solids. Just a stunning pairing. Frieda decided to limit her colourway to 2 main prints with a white background. 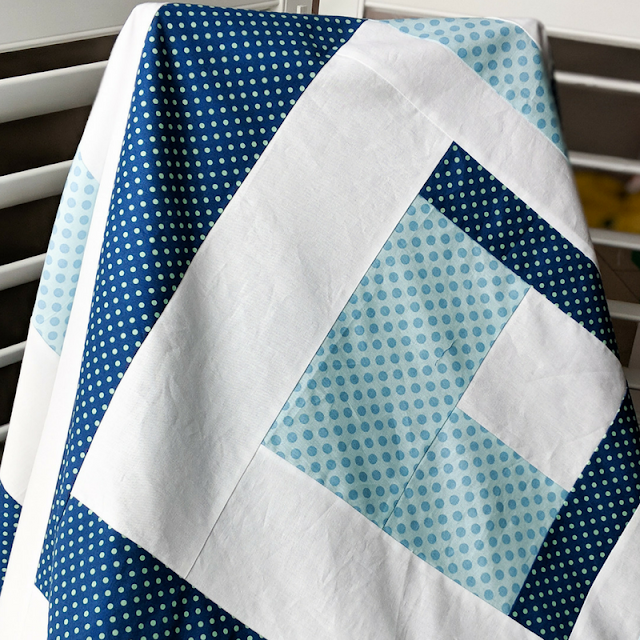 And who doesn't love a blue and white quilt, especially when it involves polka dots?! I love the deep saturated colours Izzy, of Dizzy Quilts, featured in her Reverberance quilt. And I adore the free motion quilting meander she added that is a perfect counterpoint to the geometric nature of the pattern. 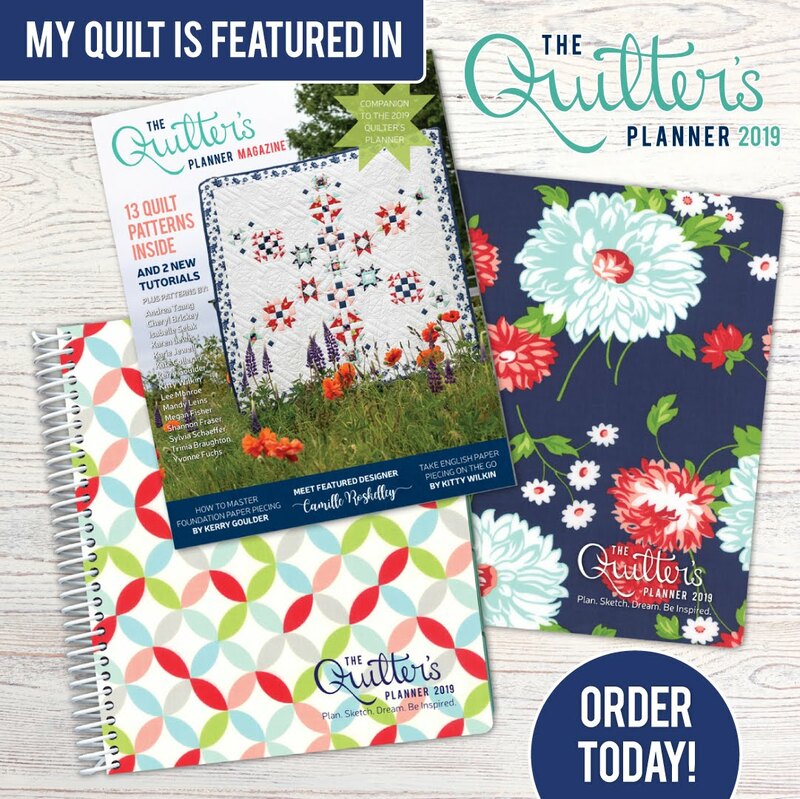 Just goes to show you, there are so many ways to add your own personal touch to a quilt pattern! 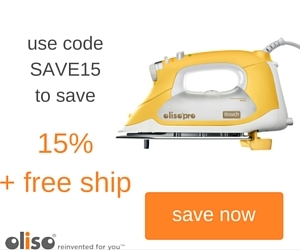 Fabric starts shipping this week! 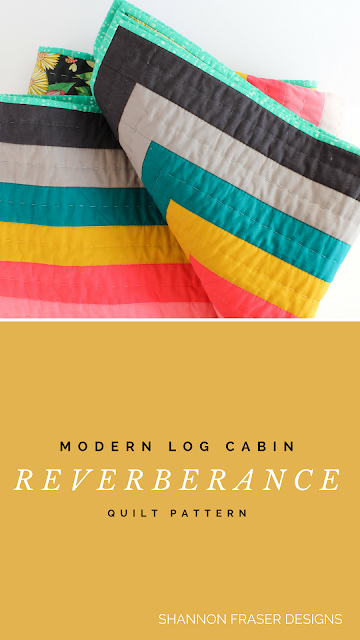 I initially named her the Joy quilt but ended up going with Reverberance as it references the movement inherent in this pattern. Grab your fabrics, grab your Reverberance quilt pattern and, in a weekend, you too can have a fully finished snuggly quilt to enjoy for years to come. Tell me, doesn’t that bring you joy?! 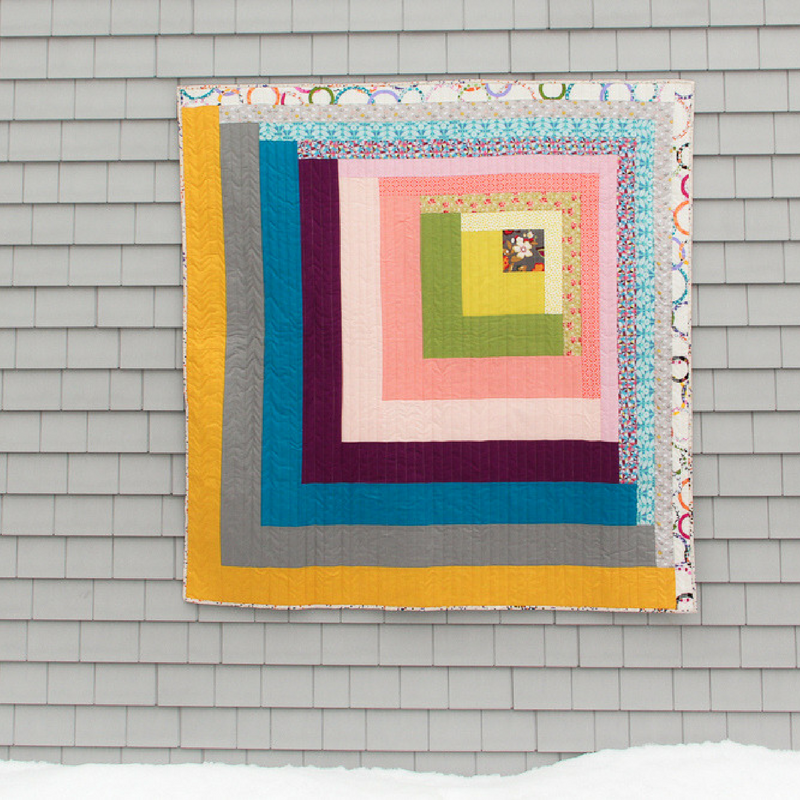 To celebrate the release of Tamara’s latest collection for Michael Miller Fabrics and the Reverberance quilt pattern, we’re hosting a giveaway on Instagram. 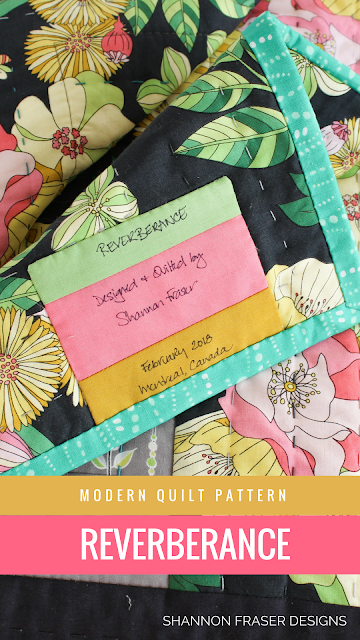 So be sure to hop over here to win not only a pretty Joy bundle, but a free digital copy of the Reverberance pattern too! 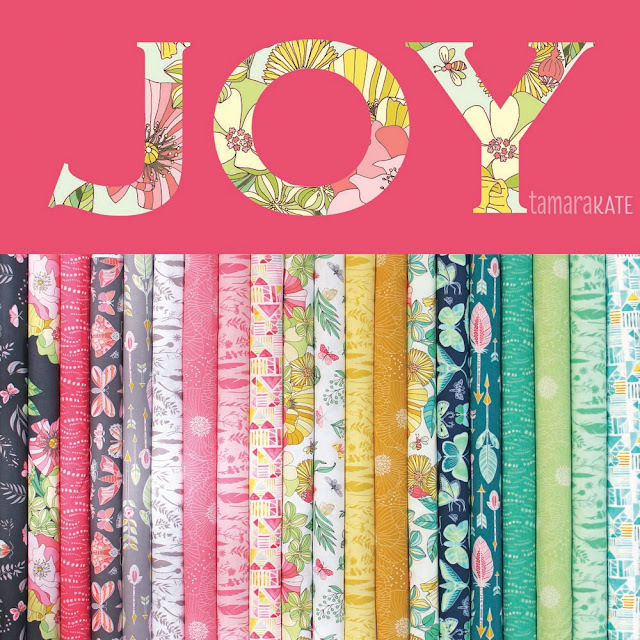 A special thank you to Tamara for including me in the Joy showcase. 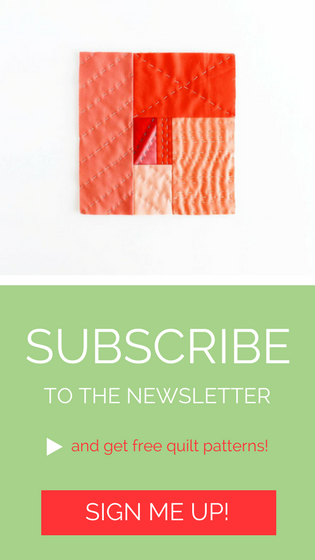 You can see the beautiful creations from all the makers up on Tamara’s blog. 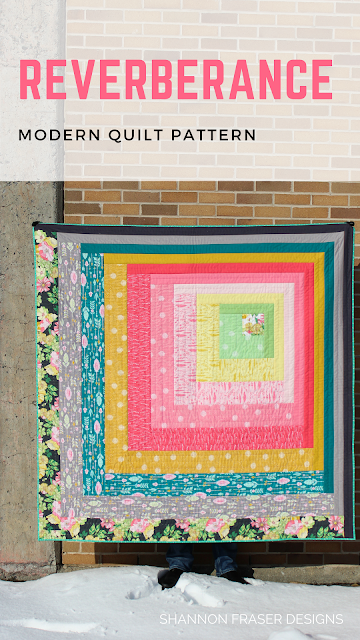 PS Adding this pretty to Finish it up Friday hosted by Crazy Mom Quilts and knocking it off my Q1 2018 FAL list! 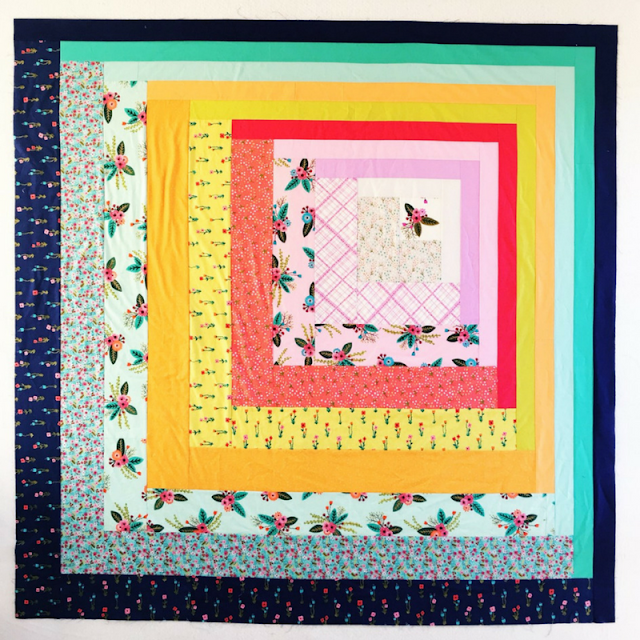 Thanks for sharing all of the test quilts, along with your own! Best of luck on pattern sales.